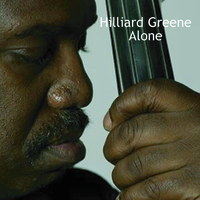 This unique recording of solo bass features original compositions by Hill, as well as songs by Ornette Coleman and Stanley Clarke. When you listen to Hill play solo, you could swear that two or three bassists are performing at the same time. Alone displays Hills remarkable force and technical skill, and is required listening for true bass aficionados.